With their distinctive Scandinavian style, Tunturi exercise bikes represent the same superior value as the company’s outdoor bikes. Tunturi is well known as a pioneer of bicycle and fitness trainer designs and can claim many patents to its legendary name. The Harkke Brothers of Turku, Finland, started Tunturi in their small bike shop in 1922. Tunturi is a Finnish word for “highland” or “fell”; especially when referring to the treeless high plains in Lapland. As the company grew, the small factory began producing other products, such as mopeds in the 1950s. In the 1970s, Tunturi Oy Ltd began making fitness equipment including stationary exercise bikes, rowers, treadmills, and crosstrainers. In 2003, the company was acquired by the Accell Group, Europe’s largest producer of fitness equipment that owns the brands Koga Miyata, Batavus, Red Line, Lapierre, and Winora. Tunturi products are distributed in North America by Accell Fitness. 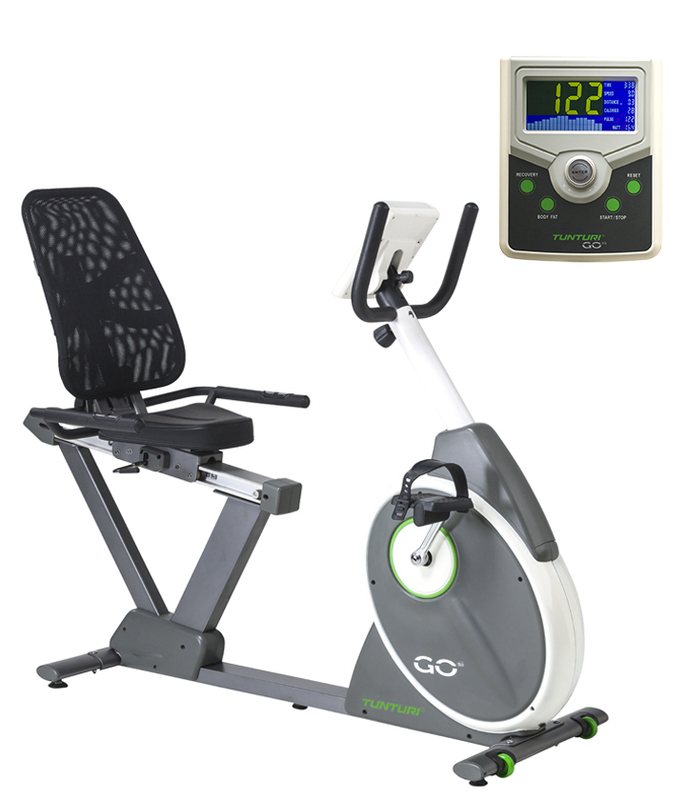 Tunturi exercise bikes are noted for unique design, silent operation, and superior component quality. But all this comes at a hefty price for an upright or recumbent, as the lowest price for the basic models starts at $1,000. All Tunturi models feature proper ergonomic adjustments in the seat (height, horizontal and tilt), front handlebar tilt (angle and height), and the console (tilt). Additionally, the recumbent exercise bikes have a smooth, gliding alloy rail system for seat adjustment, and a low step-through frame. 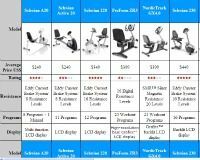 The higher priced Tunturi models ($2000+) offer deluxe features such as full color touch screens, up to 130 functional programs including heart rate control and fitness tests, and 8 language options. The current lineup consists of 17 bikes in total. You have 3 Platinum Pro models, 8 Pure Bike models and 6 GO bike models. Is it Too Much Bike? 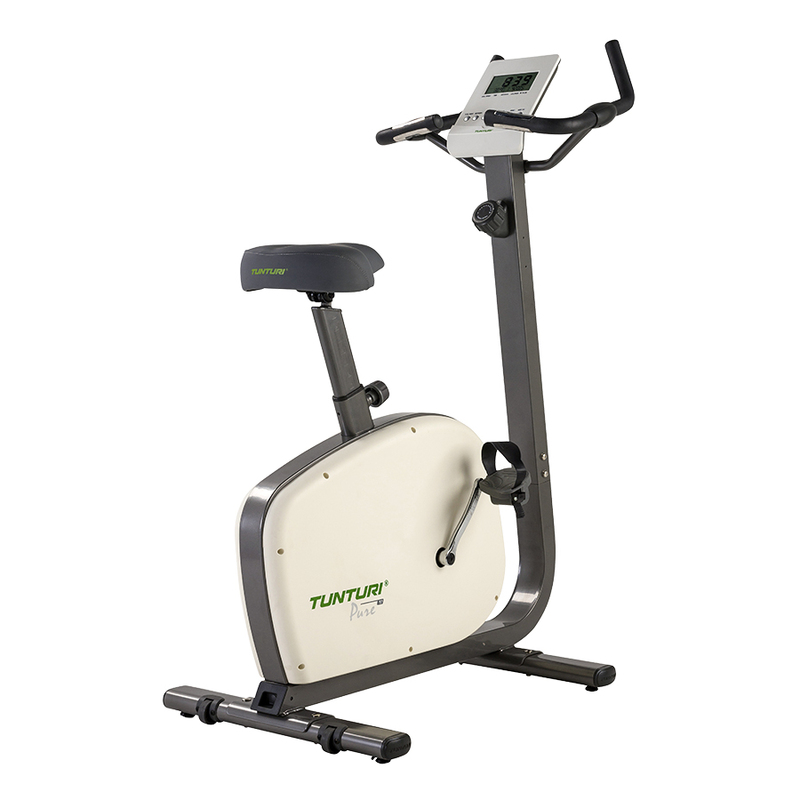 The unique design, silent operation, and superior component quality make Tunturi exercise bikes a worry-free investment for your fitness needs. The target market is for individuals who take their workouts seriously and don’t mind spending $1,500 on an upright bike. Reviews on the models are favorable as you would expect, so the only question is: is it more bike than you really need? One of the other problems is that Tunturi exercise bikes are very difficult to come by these days. You can't really find them online, and many of the high-end stores like Gym Source don't carry them anymore. Last time we checked there were only a handful of distributors in North and South America, so you might be better off choosing another high end brand such as Life Fitness or Precor. Tunturi E60 Upright - Better value when compared to the E80 model that sells for over $2000. Optimal ergonomics and expansive programs make this bike a great choice for getting into shape. Tunturi E80 Upright - Offers comfortable pedals that can be used even without wearing shoes. 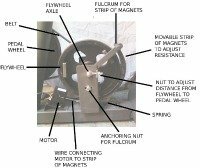 Electromagnet brake, large flywheel, easy mount frame, multiple adjustment points. Tunturi E60R Recumbent - Outstanding ergonomics and innovative training programs; one of the best designed and best built recumbent bikes in the world.